Gallerist Rob Malasch (Serieuze Zaken Studioos) and WOW Amsterdam once again join forces to put the spotlight on young talent during one of the most prestigious art fairs on the calendar. WOW is proud to present a variety of disciplines: from painting to fashion and from film to installation. A mix of WOW Artists in Residence and others take the space by storm and transform it into a showcase of their creativity. Taking the art factory as its starting point, the exhibition is multidisciplinary and reflects the varied nature of the “broedplaats”. 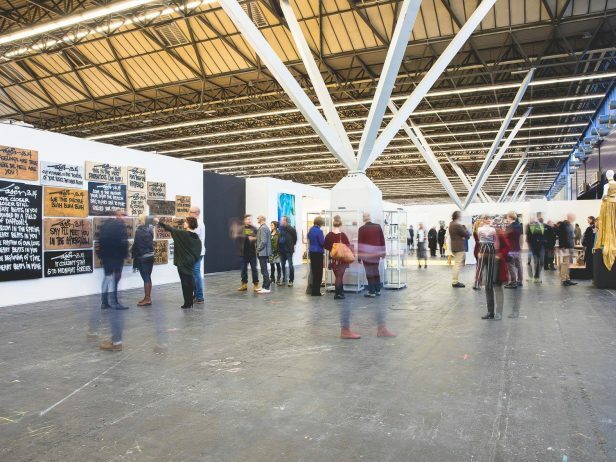 ART AMSTERDAM (KunstRAI) is the longest running art fair for modern and contemporary art in the Netherlands. A fair with seventy high-class galleries who reflect the diversity, quality and pluralism of Dutch art and design’s historically rich offer. Here, the visitor finds autonomous painting and sculpture, photography and graphic art, and contemporary glass, ceramics and jewellery. Traditionally, a selection of young galleries have the opportunity to present themselves in a number of RAW EDGE stands, where they take care of the surprise element with the work of emerging artists. Solostands, attached to many gallerystands, enhance the appreciation and understanding of the work of one artist selected by the gallery. This year six galleries from Catalunya exhibit their collection on the “Focus Catalunya” square.